Brad Betts has been an artist for over 25 years and is a Signature Member of the American Society of Marine Artists (ASMA). 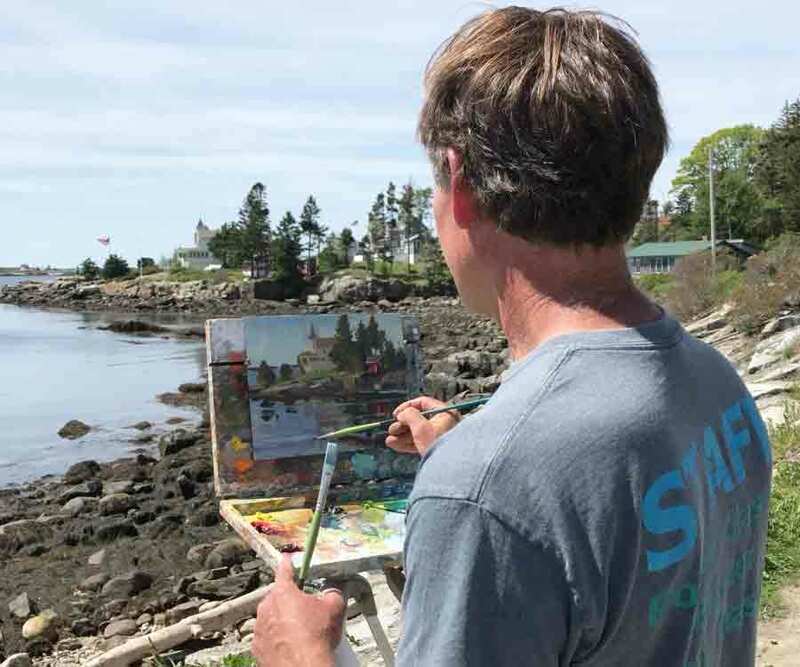 His paintings have appeared in solo and group shows throughout New England, including the Mystic Seaport Gallery’s acclaimed “International Marine Art Exhibition” for the past 14 years. In 2006, Brad received the “Maritime Gallery Yachting Award” and in 2017 the “Award of Excellence” at this annual juried exhibition. In 2008, he was recognized as one of “Four Distinguished Artists” at the Mystic Seaport Gallery. In 2011, Brad’s maritime painting “Cup Challenge” was selected by internationally renowned author Ferenc Maté for the cover of “Sea of Lost Dreams”, the second book in the Dugger / Nello series. Brad is currently working on a book cover for Maté’s first book in the series, “Ghost Sea”. His inspiration to paint all things nautical is an outgrowth of his youth, which he spent around the Gulf coast waters, deep sea fishing and sailing. Today, his paintings reflect his life-long appreciation of the sea. His work is filled with movement: schooners under full sail battle through wind-driven seas; and Friendship sloops glide through the calm waters of Maine’s inlets. The classic Betts oil is a summer day in Maine – blue skies, billowing sails, and shimmering seas. In 2007, Brad and his wife Danielle made the decision to move to East Boothbay Maine, the beautiful seaside village famous for boat building. Living in an area with a rich maritime history and active working harbor offers Brad the opportunity to connect daily with classic scenes that most inspire him.